This Venetian Palazzo painting tutorial follows the Beginner Drawing Lesson, which shows you how to draw this painting. 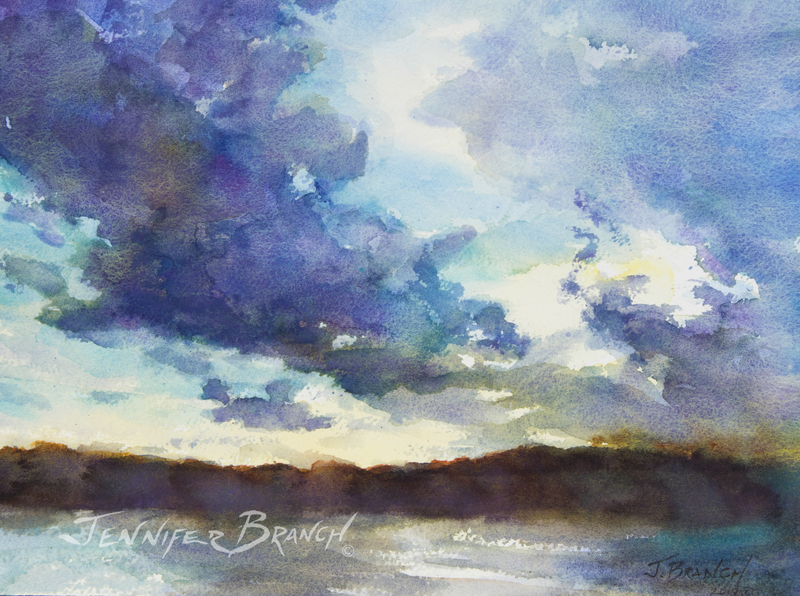 This tutorial is easy for a beginner to draw and paint, but offers challenges for advanced artists. I'm not even a little bit interested in painting dark goth drama, I want to paint sunny Venice in this one! Bright sparkling light reflecting blue and gold on the balcony. A gorgeously patined great door. There are always shadows in Venice, but this shadow has lively energy in it. I start with a loose wash of nickel azo yellow, giving a rough golden glow to the stucco. I want the golden light of Venice, but not too dark. It's a white building, not orange! I scuffle some cadmium red in the exposed brickwork, then start adding darks with a warm burnt sienna. Here's your reference photo if you don't happen to be in Venice! 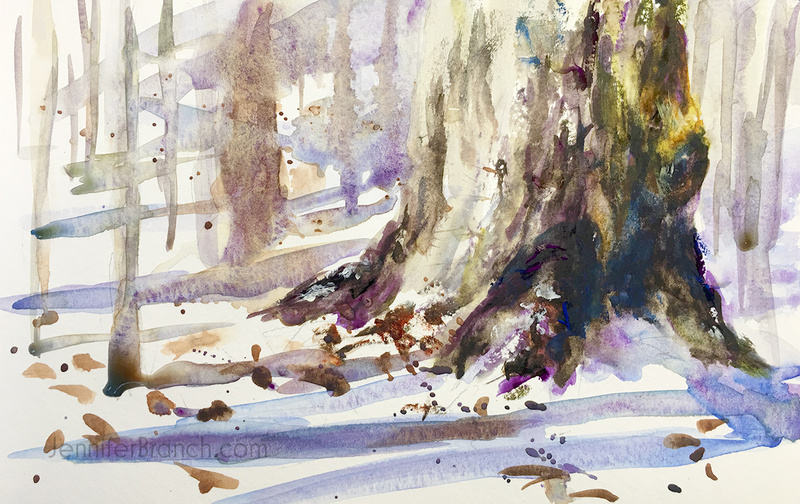 While everything is still wet, I add a few darks in burnt sienna and ultramarine blue. Next, it's time to start on the balcony shadow! The balcony shadow is translucent with cobalt violet, cobalt teal and pthalo blue. I add splashes of nickel azo yellow. I paint the window trim with burnt sienna, letting it bleed everywhere. Paint the shadows in several layers, letting it dry completely in between. I use a bright cobalt teal for the door underlayer. This is painted very drybrush to get interesting texture. A major part of the charm of this green-blue door is the rich patina of centuries of paint. So paint it in layers! I start the shutter shadows with ultramarine and cobalt teal. I don't want to paint them very dark or detailed since they'll draw attention away from the focus of the painting, the door. I've added a lot more on the shutters, but there is just enough to say they're shutters, not obessive detail. I deepen the shadows under the arches. I start pulling the balusters out or the shadows. 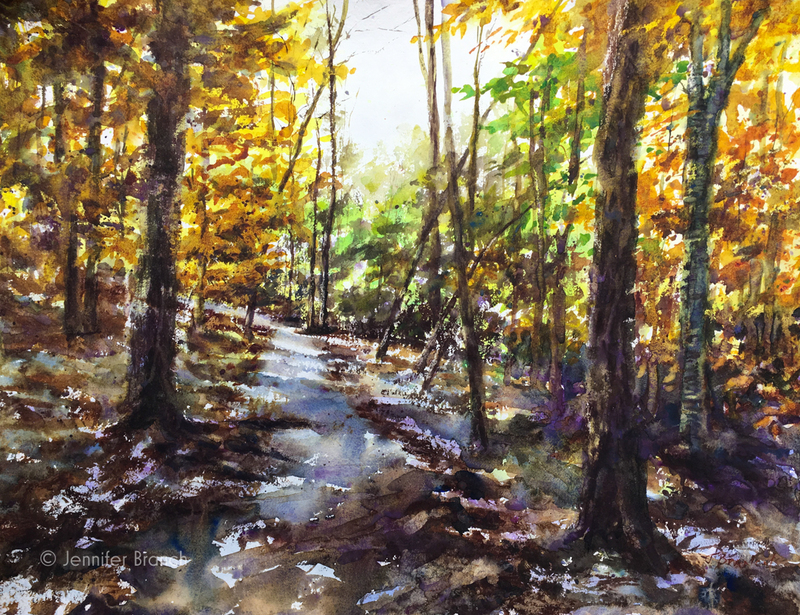 I paint around them with deeper shadows - but not everywhere, just enough! I start building up the water. Some sparkling dry brush and some flowing ripples. I'm using a lot of pthalo green dulled with nickel azo. A few more lines in the water define reflection. I start the next layer of the door, some bright pthalo green to brighten it up before the final layers. Notice how colors get less brash as they dry! 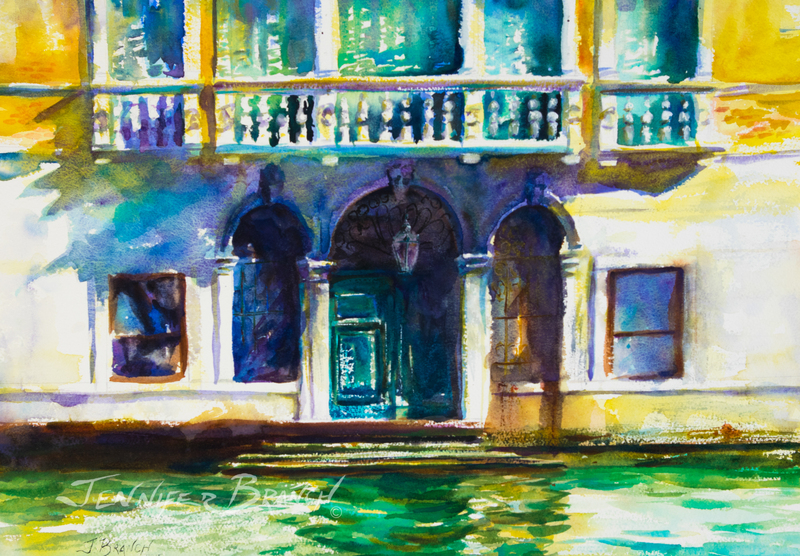 To purchase Venice Palazzo original watercolor painting, please click! Venice Palazzo Final Watercolor Painting! For finishing details, I pull out paint from the lantern and ironwork. I then go back with a strong dark of ultramarine blue and burnt sienna. I touch up a few highlights with white gouache and I'm finished! 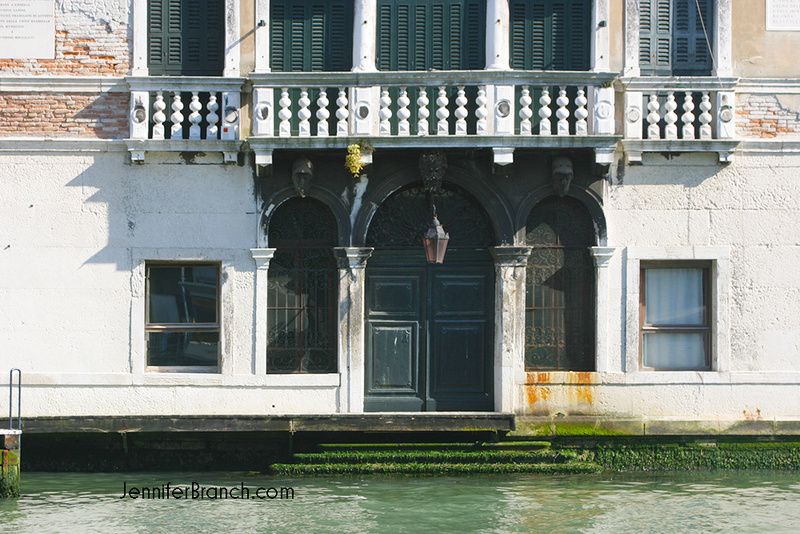 I love the glowing colors of white stucco in Venice. The stucco reflects everything and ends up so much more than white. The balcony shadow was partricularly fun to paint! I hope you try drawing and painting this beautiful palazzo!